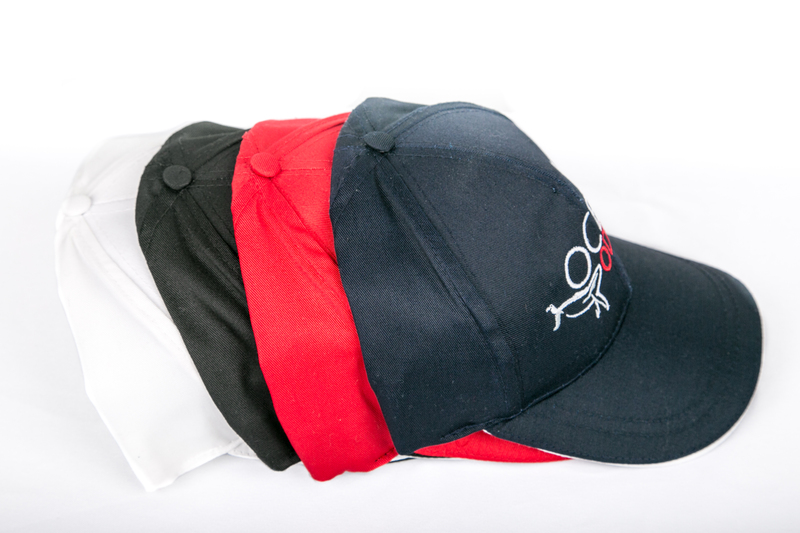 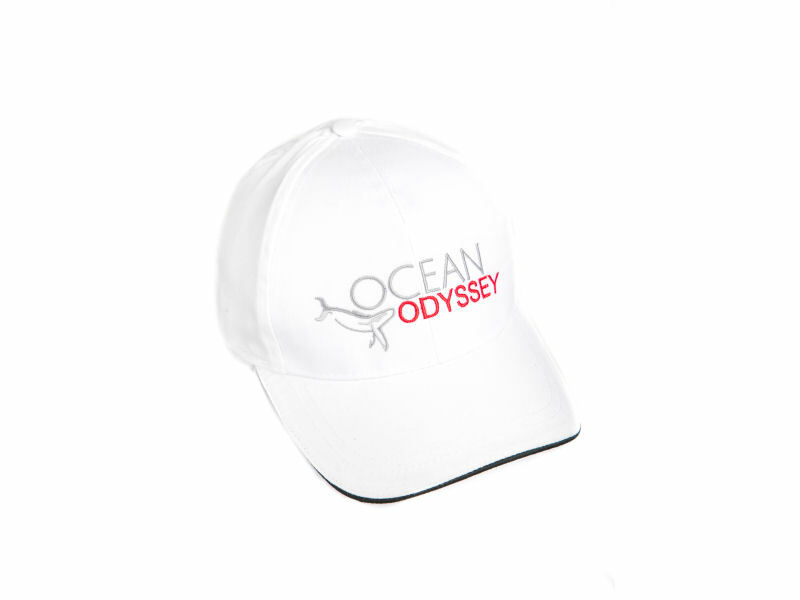 Poly cotton twill 6 panal cap. 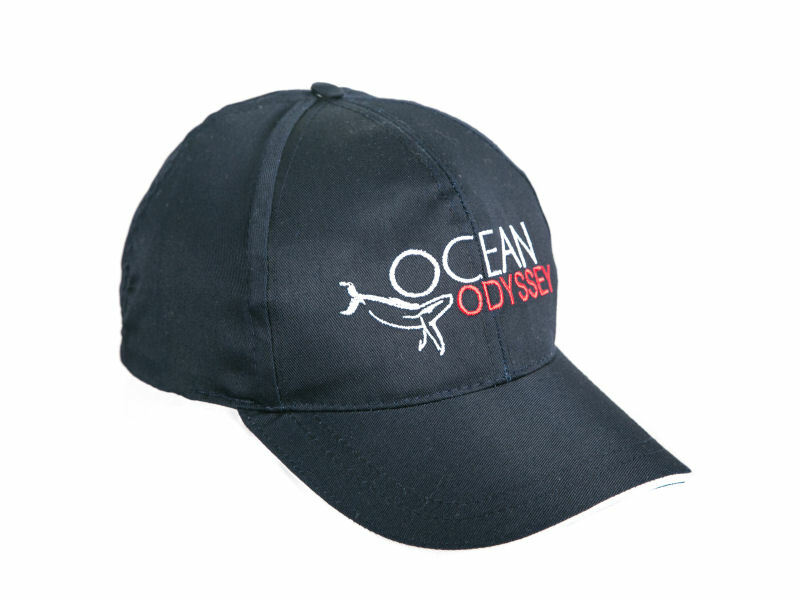 Pre-curved peak with self fabric velcro strap. 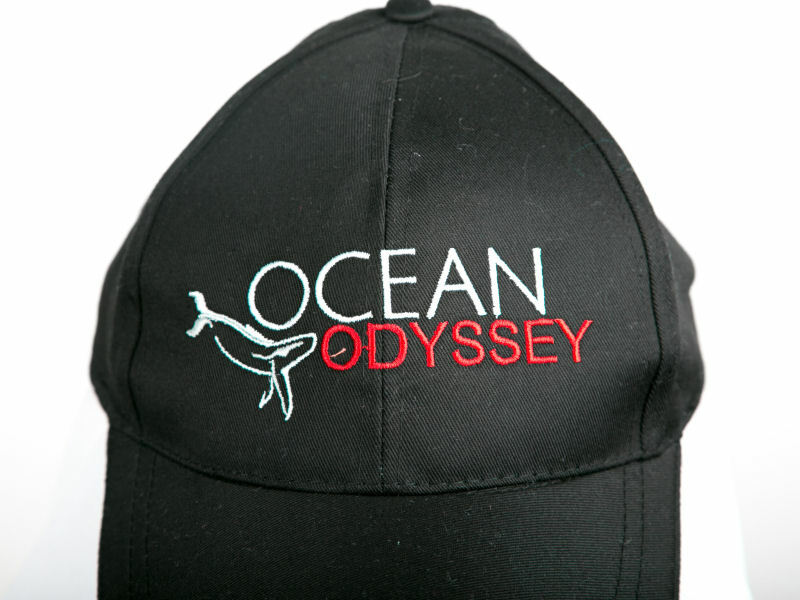 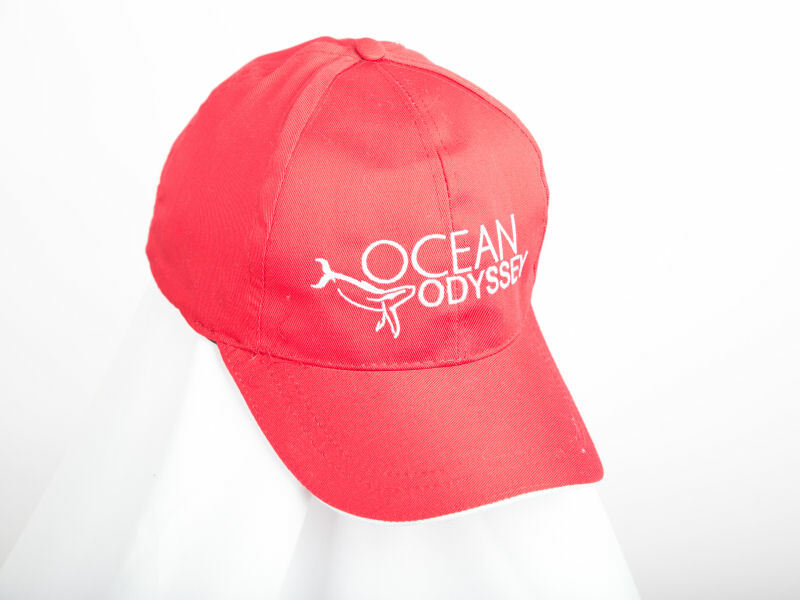 Ocean Odyssey logo embroided on the front. 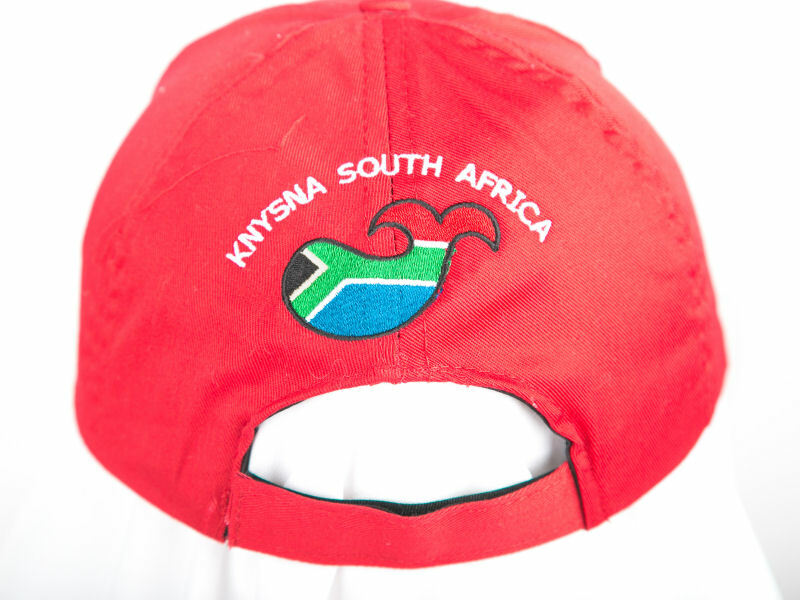 South African flag in a shape of a whale embroided at the back which includes “Knysna South Africa”. 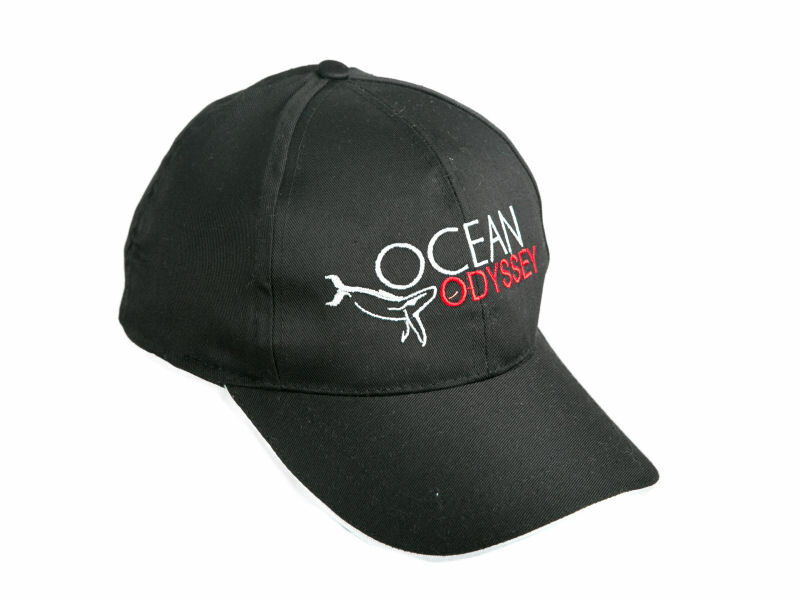 Material: 220g Poly Cotton Twill.